The skies were overcast and a light rain was falling this morning, the perfect excuse to lazily sleep in. After packing for what seemed like the millionth time, having some breakfast downstairs and then checking out of my apartment, it was time to hit the streets for a few last hours of sightseeing. Having spent the last five weeks in Asia, it’s hard to say exactly how many temples I’ve seen. On this, my last day, why not visit one more? 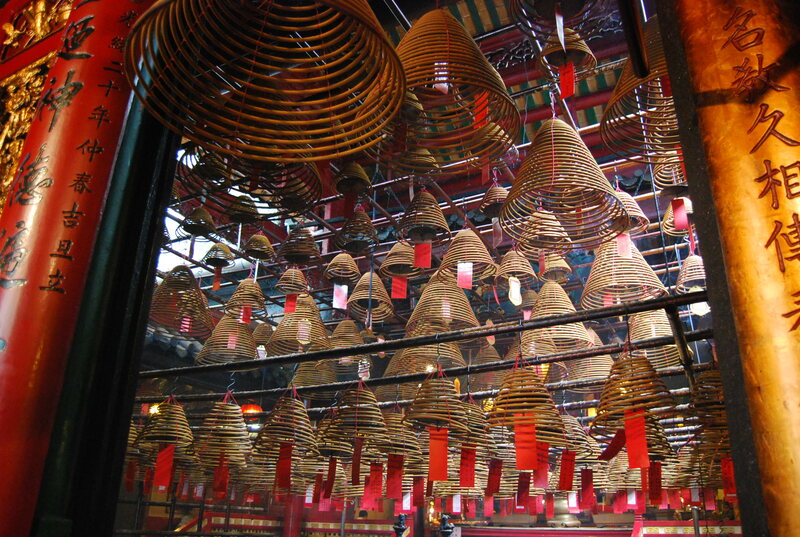 The Man Mo, the oldest in Hong Kong, was a short MRT ride away, its air chokingly thick with the fragrant smoke of incense burning from its ceiling. Some are so large that they are said to continue burning for 3 weeks. 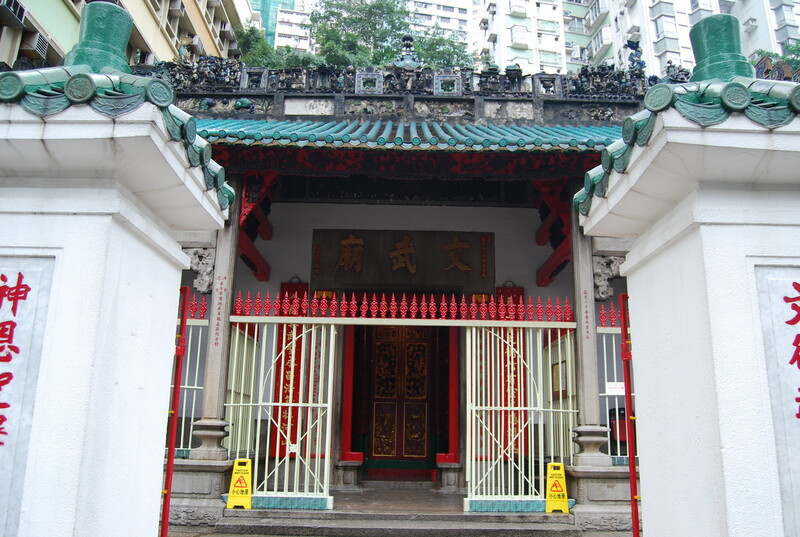 The temple is on Hollywood Road, with its antiques shops and trendy boutiques, in the Central District. My backpack is already bulging with everything that I’ve bought the last several weeks so although tempting, it was a lot of looking and not a lot of buying. I’d really wanted to take the funicular to the top of Victoria Peak but the clouds were heavy and it didn’t seem like it would be worth it. So, instead, it was back to the hotel for an hour of downtime before hopping on the Airport Express. Cathay Pacific checked me in quickly to an aisle seat with no neighbor. Score! Browsing afterwards through the shopping mall that is Hong Kong International Airport, a hunger pang struck. That wouldn’t be a problem. My last meal in Asia? Burger King. A little before 10 p.m., we began our approach from the north to New York’s JFK Airport, following the Hudson River and passing right over White Plains. As the city drew closer, its familiar lights sparked beneath me. Mom and Dad met me just outside of Terminal 7, International Arrivals. It was great to see them both. This has been a remarkably long day of travel, thirty-four hours all together. 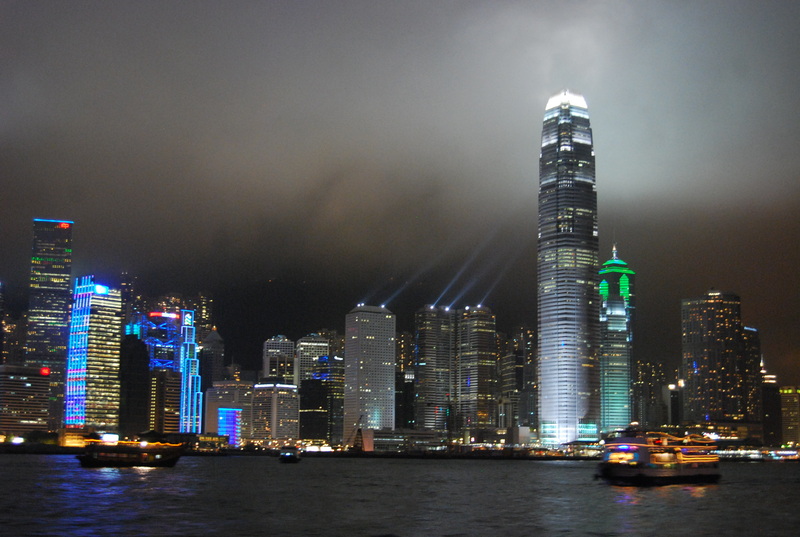 It began Monday morning at 4 a.m. in Hong Kong and ended at 1 a.m. Tuesday in New York. I’m exhausted, yet with the time difference, I’m strangely ready for a croissant and cup of coffee. Tomorrow morning, I’ll awake in a familiar bed, in a familiar home, in a familiar town, surrounded by familiar people (and pets). There will be nothing on the itinerary. And you know what? After 80 days of crisscrossing the globe, I’m not sure that I’ll mind. We overslept this morning and then had to race to the airport for our flight to Hong Kong. Our taxi driver kept his hand on the horn and did a formidable job of getting us there in about 25 minutes. The agents were still at their counters when we arrived — although they were wrapping up — so we checked our bags, passed through security and immigration and made our way to the gate. Wheels were up on our Cathay Pacific flight 766 (my 20th) at around 11:30 a.m. Somehow, they assigned me a bulkhead seat, so the next two hours were primarily used to catch up on sleep. We passed over some of the many islands that make up Hong Kong and then landed on the secluded runway at around 2:30 p.m., having lost an hour en route. After passing through the thermal imaging station to check for sickness, we stamped in and got our backpacks. Here, Burt parted ways as his flight bound to New York was leaving in a couple of hours. 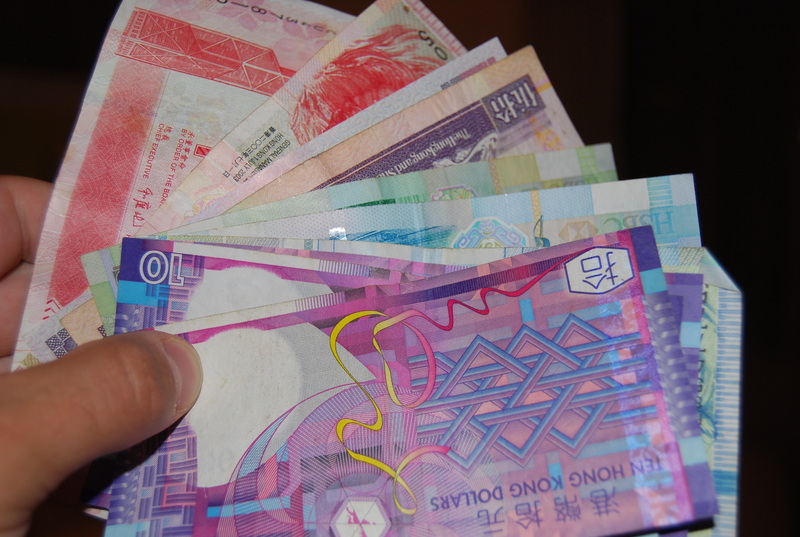 Wanting to get rid all of my leftover foreign currency, a Travelex caught my eye and exchanged for me some really cool and colorful Hong Kong dollars. The Airport Express dropped me off at Hong Kong station, which was only a short taxi ride to Causeway Bay, the central area in which I’m staying. 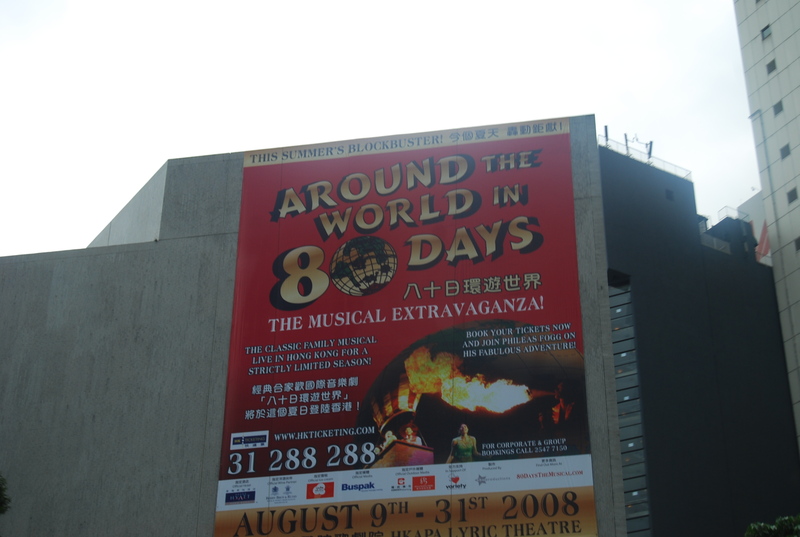 Along the way, we passed this billboard, which on day 80 of this trip around the world, was pretty weird and coincidental. 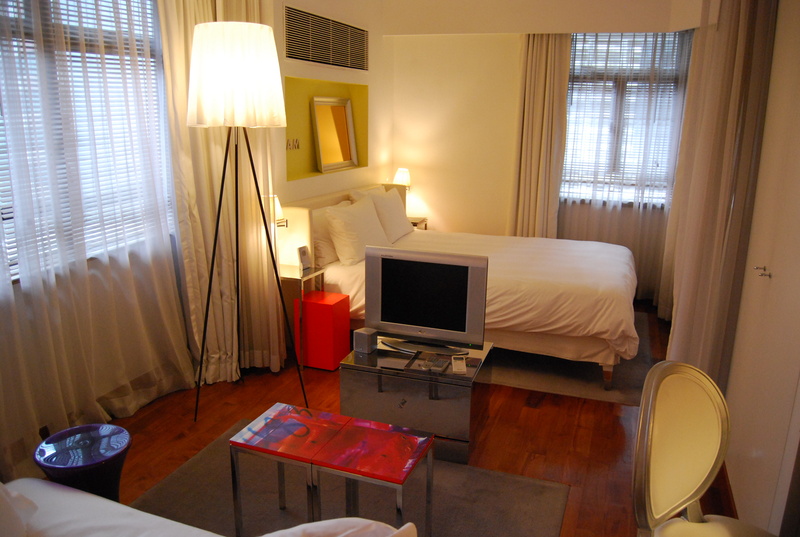 Jia, is a Philippe Starck designed apartment hotel, the first of its kind in Hong Kong. The trendy furnishings in my studio apartment reminded me of home and got me even more excited to return. After a final supper of noodle soup at Mak’s Noodle, the famous shop just down the street, it was time to explore bustling Hong Kong by night. Passing countless shops and skyscrapers, my destination was the Star Ferry, which has been shuttling passengers between Hong Kong and Kowloon for over a century. 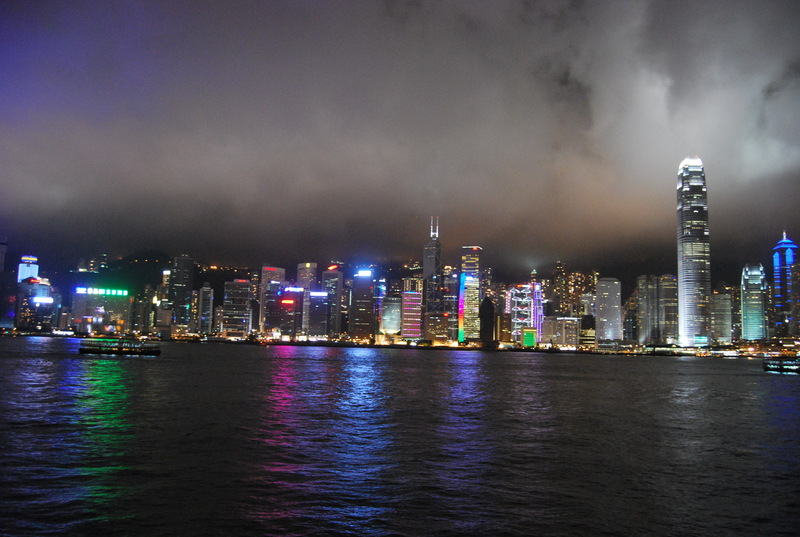 Taking the boat across Victoria Harbor afforded some great views of this neon metropolis — as well as the historic clock tower — as the clouds dramatically rolled. Wanting to get a a solid evening of rest, it was an early final night for me. Hopefully, there will be some time tomorrow afternoon to see the sights before my Cathay flight across the Pacific — thus completing my around the world trip — departs at 6:40 p.m.
With my official tour of China completed, it was nice to sleep in this morning before grabbing a map, and more importantly, a hotel card, and hitting the streets of Shanghai by myself. 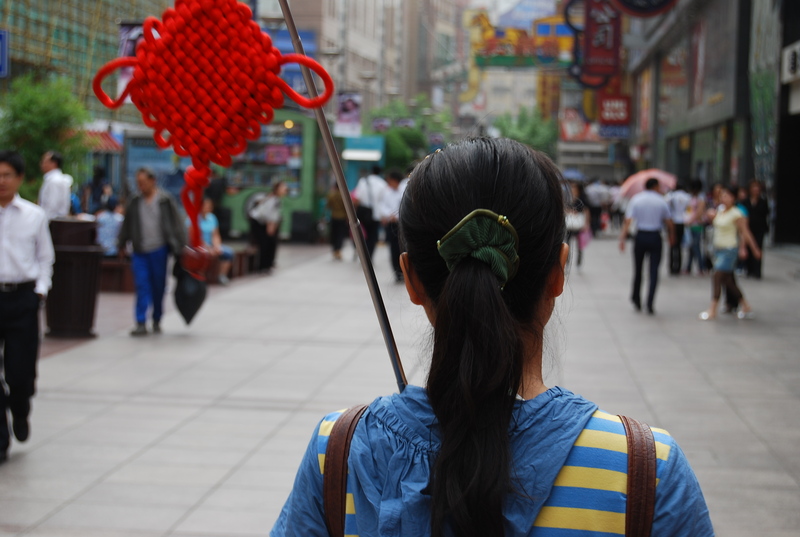 Most roads in this city lead to Nanjing Road, the main shopping drag, so it wasn’t hard to find my way there — even without Leah the Leader and her red flag. With just a sliver of sun protruding through the clouds, hundreds of umbrellas open. This, our guide explained yesterday, is less about the Chinese people protecting themselves from harmful UV rays as it is about keeping their skin pigment as pale as possible — only lower-class outdoor laborers have dark skin here. Cameras, camera-phones and video cameras are everywhere. It’s hard to look more than a couple of seconds without seeing one. The Chinese pose of choice is the peace sign, which I’m told is actually just a pose and has no significance. An armless beggar hangs around outside of Starbucks to guilt those drinking their 35 yuan frapuccinos into giving him some spare change. Several comply. A woman sitting next to me begins clipping her nails. Her companion follows by clearing his throat and spitting a couple of feet from my bare feet. A shoe-shine boy comes by to offer his services (perhaps he saw the spitting man’s aim at my feet). He points at my flip-flops and then tries to start polishing them. The Chinese have a different definition of cold. Beer is traditionally drank at room temperature, and even “cold” beers are luke-warm. Why? I’ve not got a clue. A young man carries his girlfriend’s (fake?) Louis Vutton handbag. Another man walks by holding his wife’s (fake?) Prada purse. 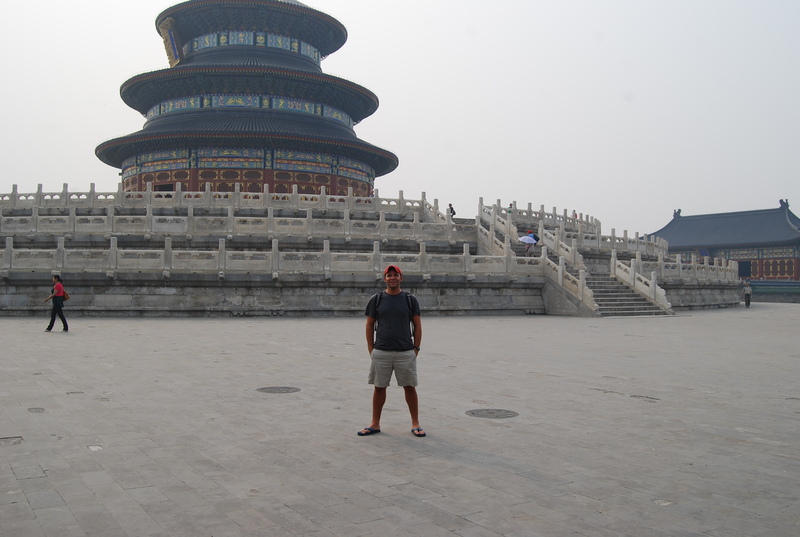 If there’s one thing that sticks with me from a week in China, it’s the size and cleanliness of this country. 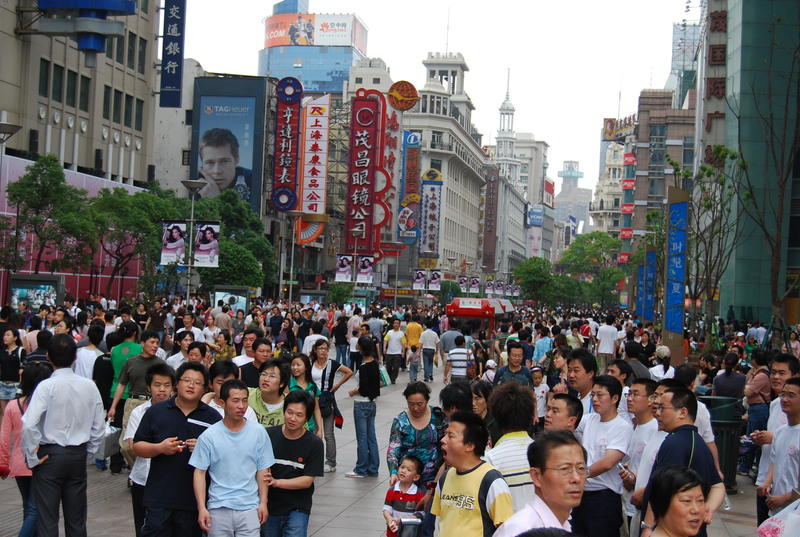 When your population is 1.3 billion, “small” cities like Xi’an are around 8 or 9 million people — comparable to New York City, the most populous city in the U.S. Large cities, like Shanghai, are three times this size. 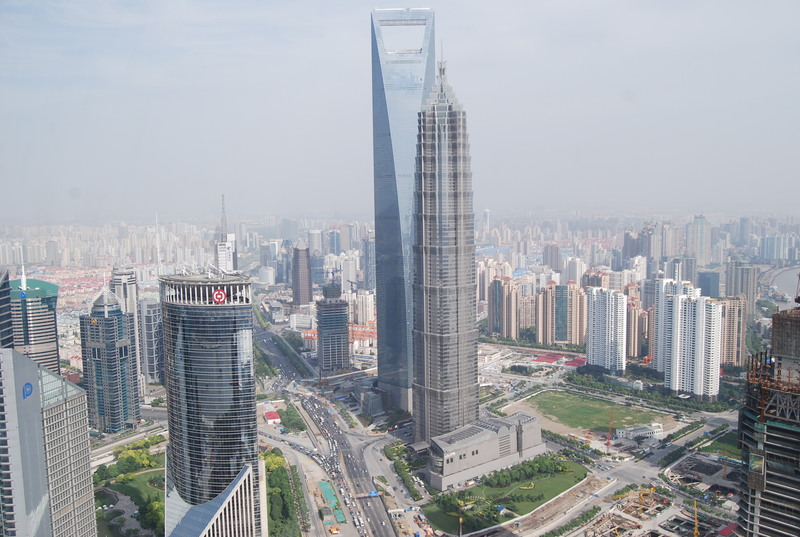 I’ll never forget the view from Shanghai’s Pearl Tower, with buildings stretching for as far as the eye could see, or being swallowed up by Beijing’s huge train station. With so many people, China is a remarkably clean place. Empty plastic bottles are snatched out of your hand for recycling redemption literally after the last sip and street sweepers are everywhere — including in the middle of four-lane expressways. Yesterday, a nationwide ban of plastic bags went into effect here that’ll eliminate the 3 billion used and promptly thrown away each day. The English news channel here says that the only city in the States with a similar law is San Francisco. Unable to stomach another General Tsao’s chicken, my last dinner in China was back at the Bund Brewery. They served up a tasty plate of nachos and chicken wings. 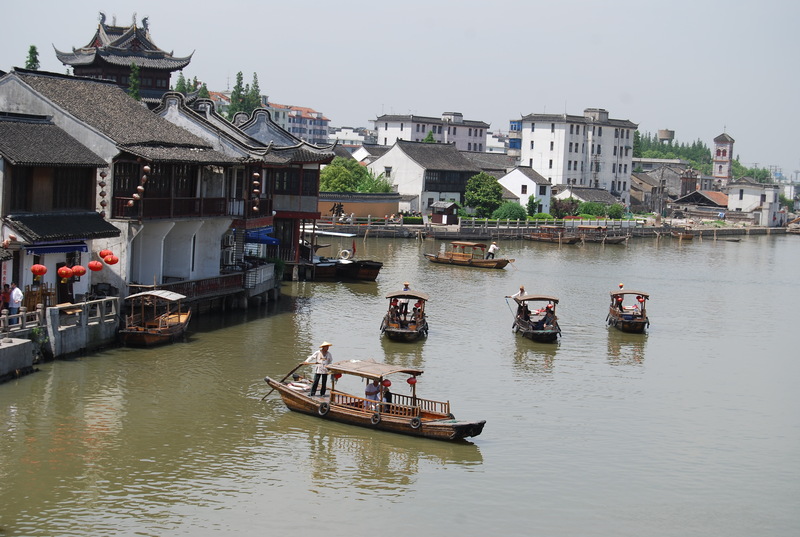 My flight to Bangkok, Thailand leaves tomorrow at 8:15 a.m.
Zhujiajiao is a historical fishing town about an hour’s drive from Shanghai. This morning, we headed there to see the 600-year-old buildings from the Ming and Qing dynasty, as well as the surviving stone bridges, gardens and temples. We really lucked out with the weather. Today was actually the first day of sunshine that we’ve had in China. Wanting to take advantage of this, we hopped on a water taxi that guided us through town and dropped us off at a Taoist temple that is still used. 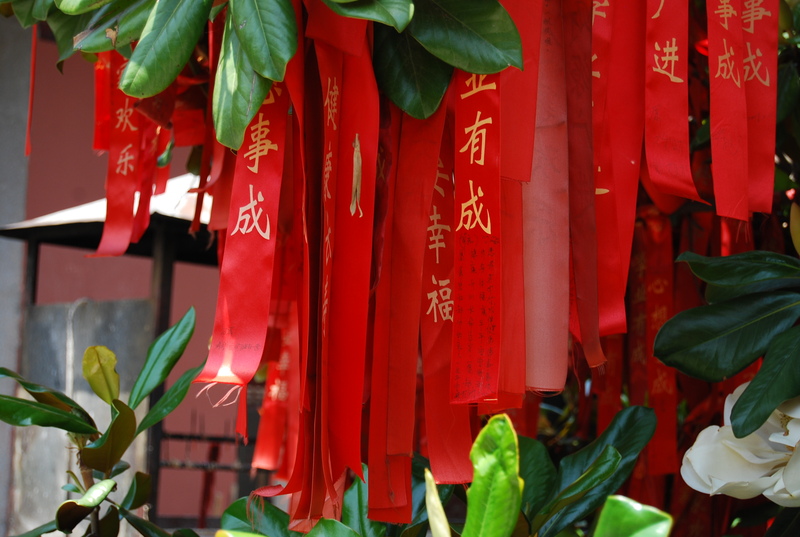 The temple’s courtyard had trees that were covered in red cloth, hung for good luck. The monks there asked us to light some incense, offered a written fortune (that was in Chinese) and then asked us for a donation. 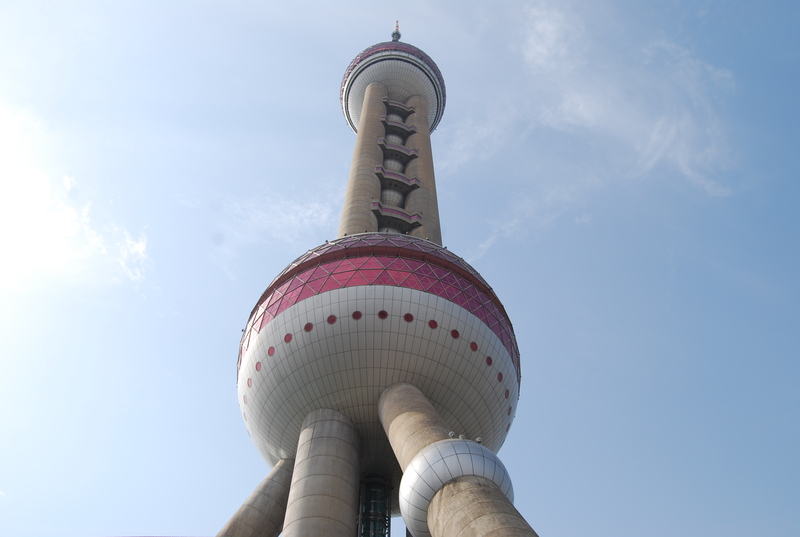 After lunch back in Shanghai, we made our way to the city’s landmark Oriental Pearl TV Tower, the tallest tower in Asia and third tallest in the world. One hundred yen brought us to 263rd floor, where buildings and this city of 22 million stretched for as far as the eye could see. We had our final dinner as the “China Express” trip came to an end. While most of the group leaves tomorrow, I’ve given myself an extra day to relax, do some laundry and prepare for my next tour that starts from Bangkok in 48 hours. We were up early this morning for our hour flight aboard Hainan Airlines (no, I’d not heard of them either). It was a pretty uneventful trip, with wheels down in PVG at around 10:30 a.m. After an hour’s bus ride, we arrived at the Piao Ying Hotel, our base in Shanghai for the next three nights. We had a quick lunch at the hotel before walking to Nanjing Road, the longest pedestrian shopping street in China. It is this country’s answer to Times Square, lined with department stores, cafes, hotels, neon billboards and countless hawkers of bootleg Rolex, Fendi and Gucci gear. 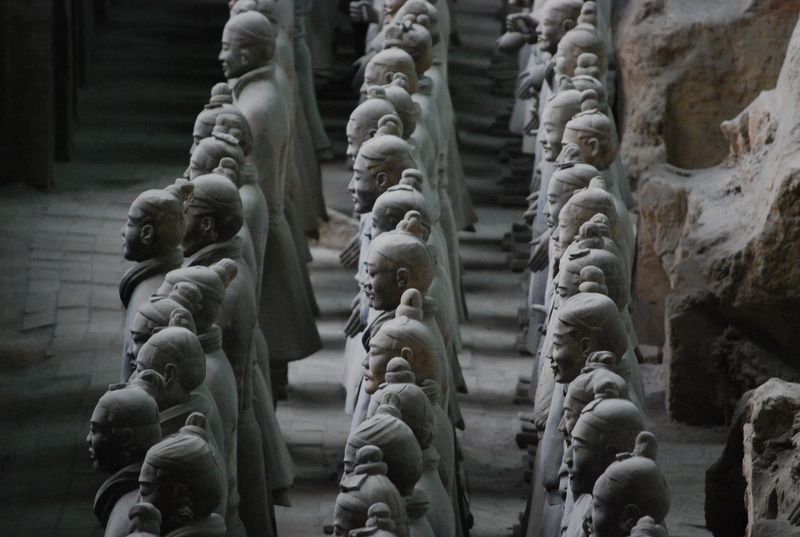 The Shanghai Museum is a vast collection of antiquities, ranging from porcelain and bronze to furniture and costumes. After about 2 hours browsing through its many exhibits, we headed to YuYuan Gardens and Bazaar, located in the old Chinese section of the city. 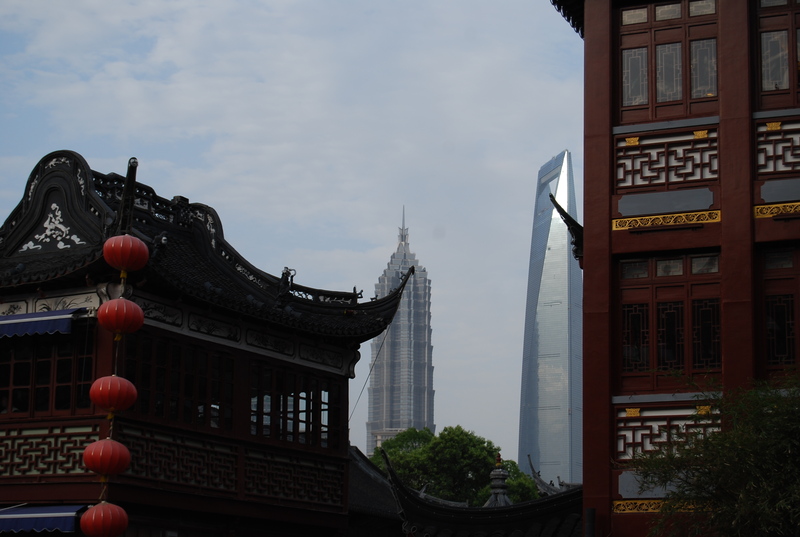 This area really highlights the contrasts of Shanghai: traditional buildings stand in the shadows of imposing skyscrapers that have been constructed nearby. The bazaar has become something of a tourist trap, which after spotting a Dairy Queen, we were actually quite thankful of. Blizzards in hand, we worked our way to the Bund, probably the most famous location in this city. 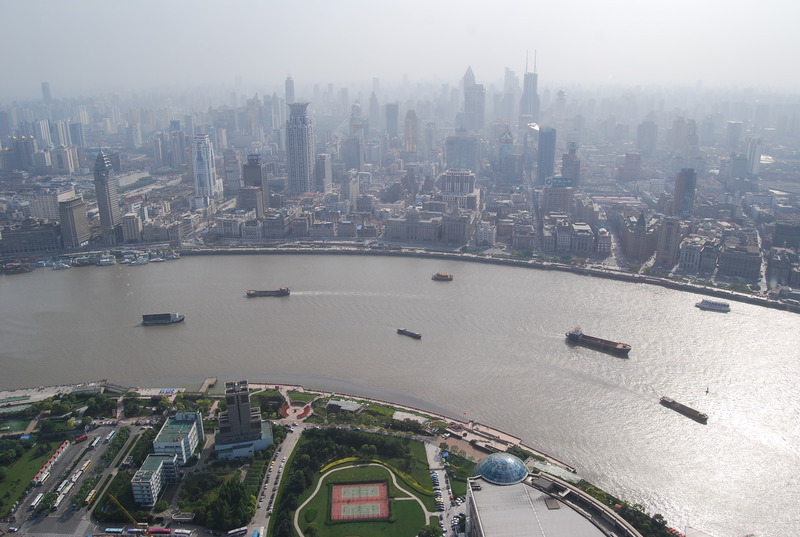 A stretch along the waterfront, this is the Shanghai of the 1920s, with the impressive architecture and facades of old banks, trading houses, consulates and hotels. On Saturday and Sunday nights, the entire Bund is illuminated in lights, making for an impressive view, including of the Oriental Pearl TV Tower, one of the sights we’ll be visiting tomorrow. (See my buddy’s Larry’s photos.) Walking around afterwards, we stumbled upon the Bund Brewery, which had some much welcomed ice-cold microbrews and a delicious bacon cheeseburger waiting for me. No complaints here. Last night, several thousand people, fearful of the earthquake aftershocks that were felt in this city as recently as 36 hours ago, gathered in the park outside of our hotel to sleep under the stars. It certainly wasn’t the most comforting sight in the world — especially when viewed from the 14th floor of our high rise. Thankfully, we awoke safely this morning and saw that the campers had been replaced by a mass tai-chi exercise group. Our bus was waiting downstairs to take us to Bingmayong, the Terracotta Warrior archeological goldmine that is located about 40 km outside of Xi’an. 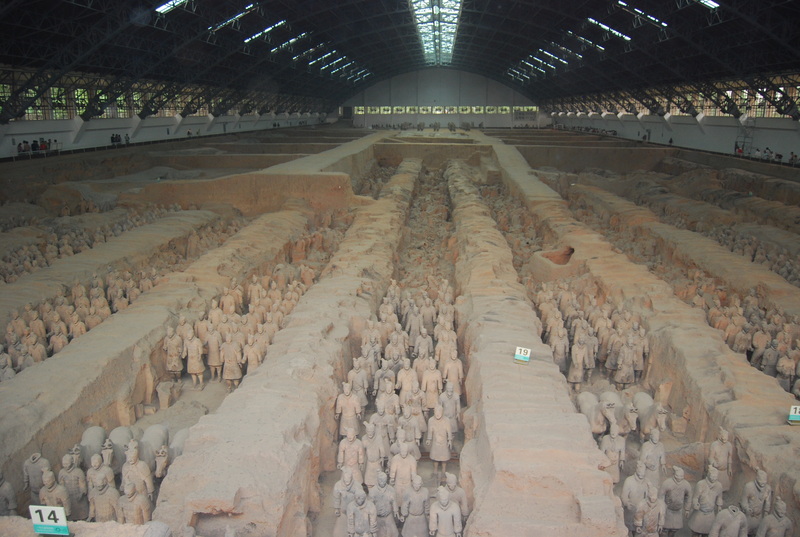 Part of the tomb of Shi Huang Di, the first Emperor of China, and dating back to 210 BC, it was discovered in 1974 by a bunch of rural farmers digging a well. There are said to be around 7,000 relics all together here; today, only about 10% have been excavated, rebuilt and displayed in a cargo hold. The rest remain below ground. 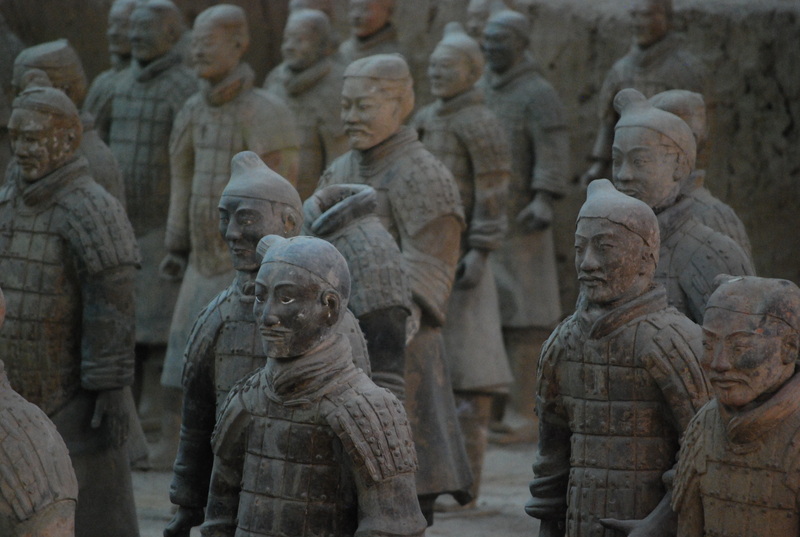 Each warrior is life-size with a unique facial expression, uniform, hairstyle and pose. And they were placed in the tomb in perfect formation according to military rank. Walking through the exhibit and reading some poorly translated signs got me thinking about the language barrier here in China. Very, very few people speak English in this country — it’s difficult even with those folks, like hotel clerks, who work in the tourism industry. Whenever we leave our hotel, we have to take a hotel card, or a business card that lists our location in Chinese. If we get lost, we hop in a cab, show the driver our card, smile and hopefully find our way back. Luckily, we had only to board the bus for our return to Xi’an. Then, Leah, our guide, made arrangements for us to get back-breaking Chinese massages. This was unlike any massage I’ve ever gotten. Imagine a tiny Asian women slapping, squeezing and walking all over you. While not entirely relaxing during, it was surprisingly refreshing after I’d survived it. And now I’m feeling about as loose and limber as ever! We got dinner in the Muslim quarter and then saw a lighted fountain show that might have malfunctioned before soaking us all. Back at the hotel, there was no mass camp-out on the plaza in anticipation of a potential earthquake (phew). 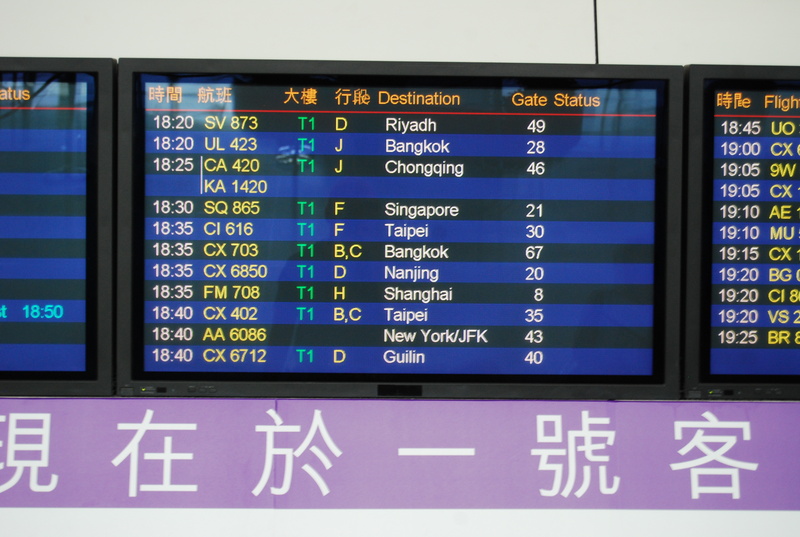 Our flight to Shanghai departs tomorrow at 9:05 a.m. The Beijing train station could very well be the busiest in the world. After we arrived there last night, we checked the departure board and saw that our overnight sleeper train to Xi’an at 9:36 p.m. was one of about 100 leaving within the next 90 minutes. The station was swarming with thousands and thousands of Chinese, hustling to tracks, eating noodles, squatting in the waiting lounges and using a variety of methods to lug around their belongings — including a Pee Wee Herman-esque bindle, the first time I’ve ever seen one used! A couple of weeks ago in Greece with my Dad, we had a very serious urging for some Chinese food. Having traveled now for almost 50 days, I’ve found that no matter what country I’m in, after several days of its cuisine — no matter how good — it’s easy to get sick of it. Back home, we eat a variety of ethnic foods: Mexican on Monday or Tex-Mex on Thursday. We’ll have a Greek salad for lunch or a Turkish kebab for dinner. The point is, each meal is different. Here in China, as in Morocco, Spain, Croatia, Greece, Turkey and Egypt, every meal is local — which, in its repetitiveness, takes a toll on foreigners like me. It’s the reason we needed sesame chicken in Santorini, and why McDonald’s, seldom visited while I’m in the States, has become something of a homing beacon for me. Last night at the train station, the Golden Arches caught my eye, and it was time for a (really) spicy chicken sandwich and medium fries. Delicious. After some pushing and shoving with the locals, we boarded our train. In Egypt, the sleeper cars slept two. In Europe, the berths accommodated four. In the same cars, China manages to squeeze in six. It’s unlikely that they considered tourists or Westerners when designing them. Here’s the view from my middle bunk, as well as what the tiny gauntlet of a hallway looked like. The ride down was surprisingly smooth, and while the beds were typical Chinese rocks, it was hard not to also sleep like one. We were awoken this morning by the train attendant who abruptly tapped us on the leg before ripping our blankets off. Welcome to Xi’an! After a shower and some down time at the Hna Hotel, we took an orientation walk through this city of about 8 million, the capital of Shanxi Province, and once China’s trading base for the Silk Road. Our tour — which took us to the still-standing city walls as well as the bell and drum towers — soon had several unexpected followers. 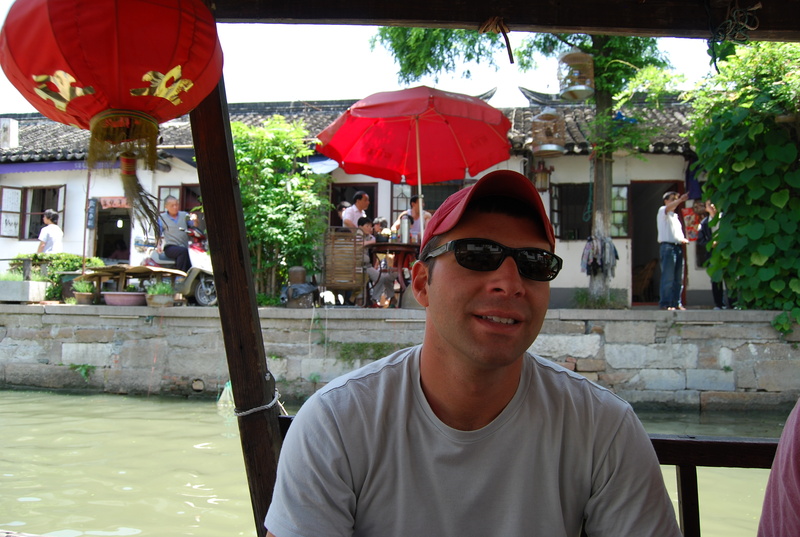 You see, the Chinese people of Xi’an have had very limited exposure to Westerners, so when they see us walking down the street with our backpacks, sunglasses, hats and cameras, they often stop what they are doing and stare at us. Some of the more adventurous even come over to the group and listen in (although they don’t speak a word of English). We next visited the Xi’an Museum and old Muslim quarter, which after some aggressive bargaining, netted me some cool souvenirs, including two ox-bone carvings. The day’s highlight, however, came on our way home, when a familiar green serpent-lady cast a spell and lured me in for a delicious iced vanilla latte and plate of sandwiches — my first in several weeks. 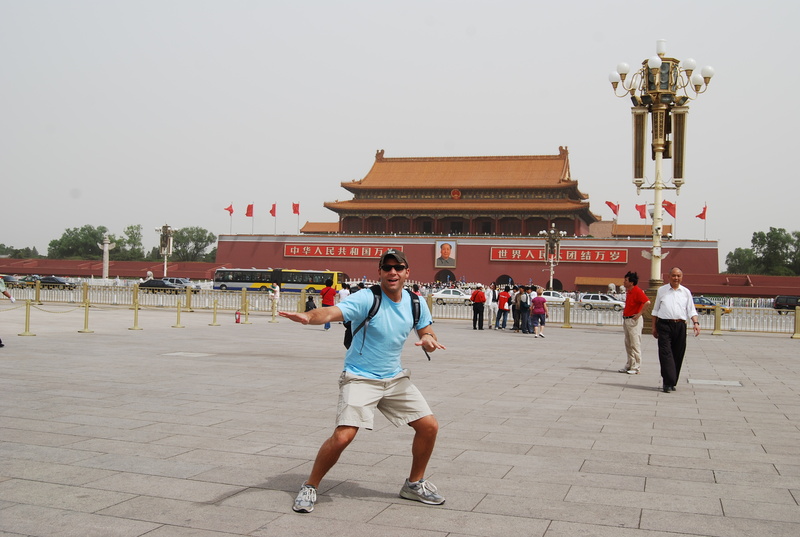 After eating an omelette made-to-order by a 12-year-old boy and listening to another round of I Want It That Way in the hotel’s café, we made the short walk to Tiananmen Square, the biggest political square in the world. Home to the infamous Tiananmen Square Massacre of 1989, it’s a vast plaza now surrounded by government buildings, museums and monuments. We queued up in line to see the body of Chairman Mao, preserved like a wax figurine in a crystal coffin donated by the former Soviet Union. The mausoleum was mobbed with throngs of Chinese, who after paying homage, furiously purchased all sorts of Mao memorabilia in its gift shop. 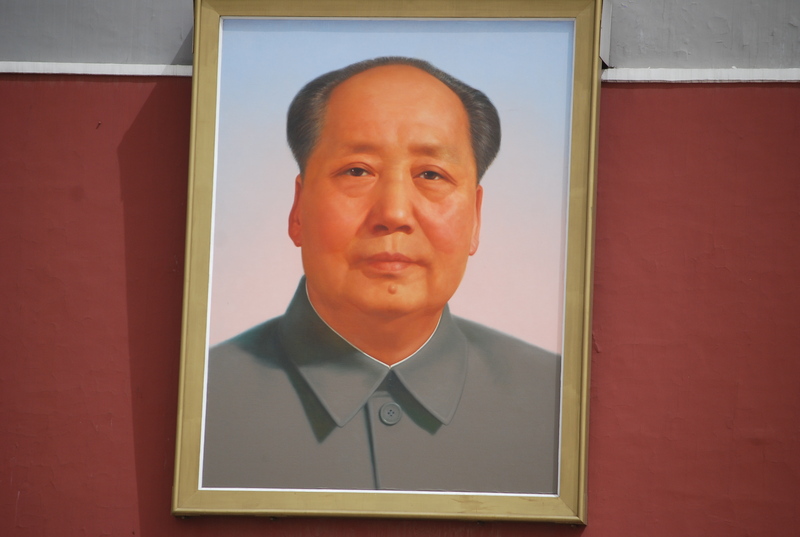 When asked why MarcZawel.com was not accessible from China, Mao had no comment. 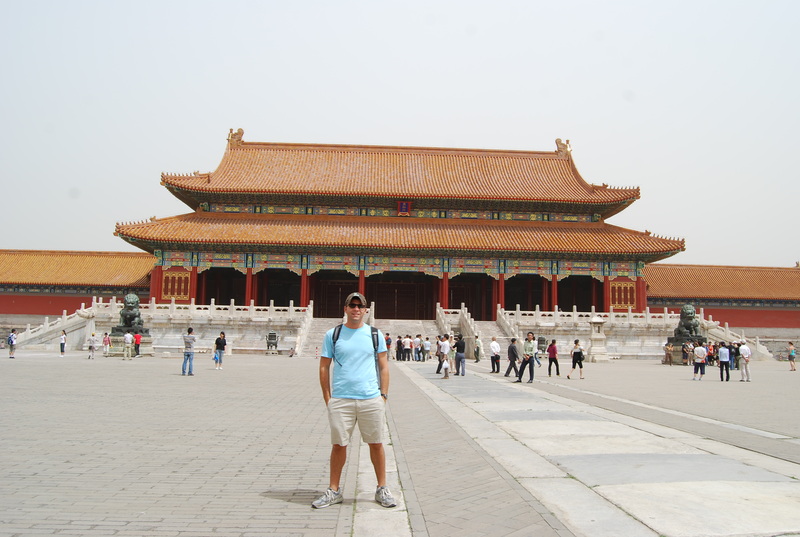 Our next stop was the vast complex of the Forbidden City, swarming with tour groups. 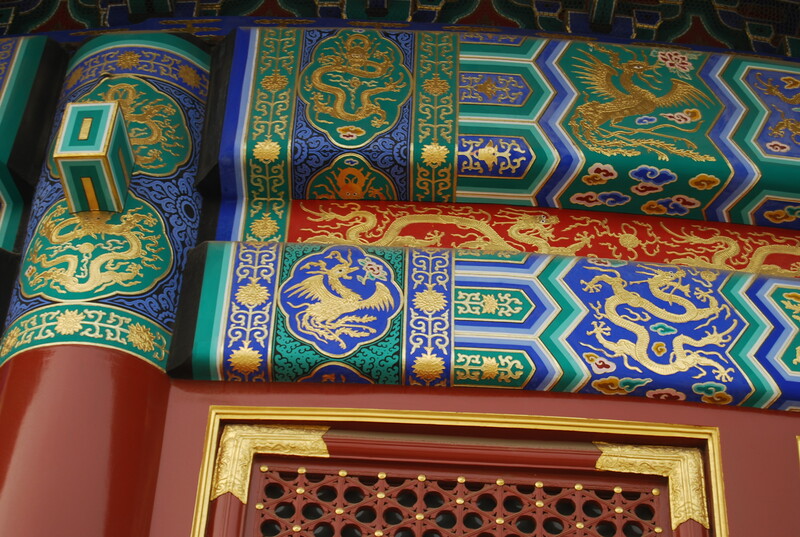 The 10,000 square meter grounds took 30 minutes to walk from end to end — there was one building used solely to celebrate the emperor’s birthday, as well as another that housed his 3,000 concubines. 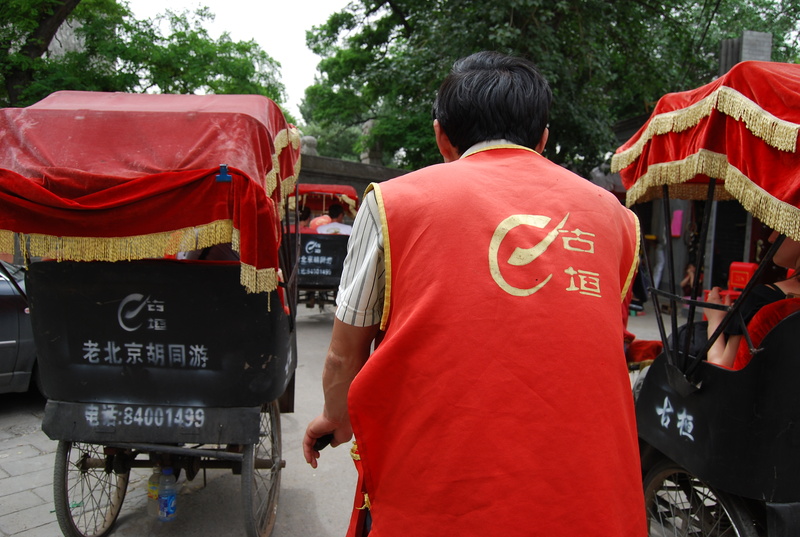 We hired a team of rickshaw drivers to take us through Beijing’s hutongs, or narrow alleyways. Even as skyscrapers crowd the landscape, many residents still live in these types of older neighborhoods. Homes here rarely have facilities, so communal toilets are scattered throughout. 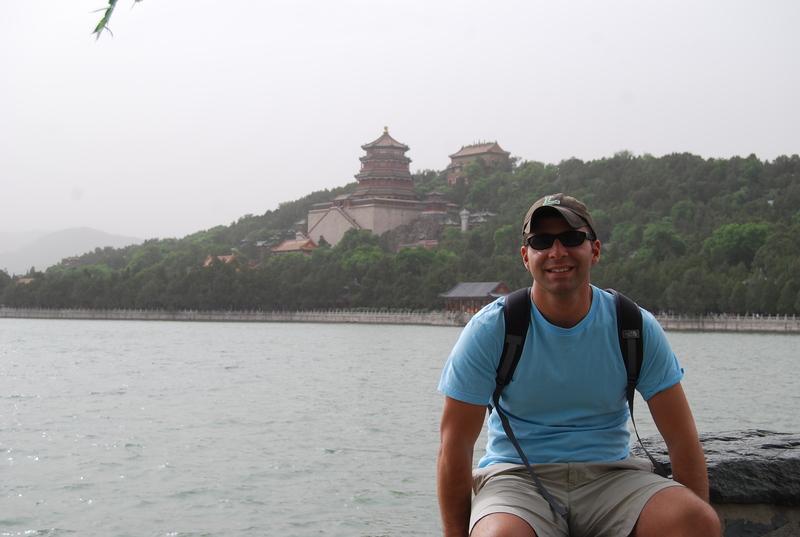 The Qing Dynasty built the Summer Palace to escape the Forbidden City. We next visited its gardens and lakes in order to escape Beijing’s noise and pollution. It was the perfect spot to relax away the afternoon. Our overnight sleeper train to Xi’an departs in about 2 hours. 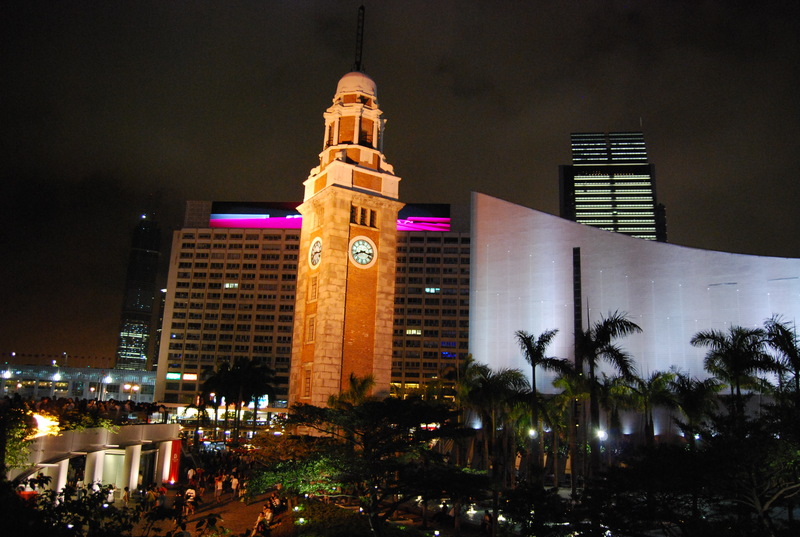 Our G.A.P Adventures “China Express” orientation meeting was only about an hour after my arrival here last night. The group is less of an international crew than on my Intrepid trip in Egypt, although there are a couple of solo folks who should make for some good travel companions. Not surprisingly, we were up early today. 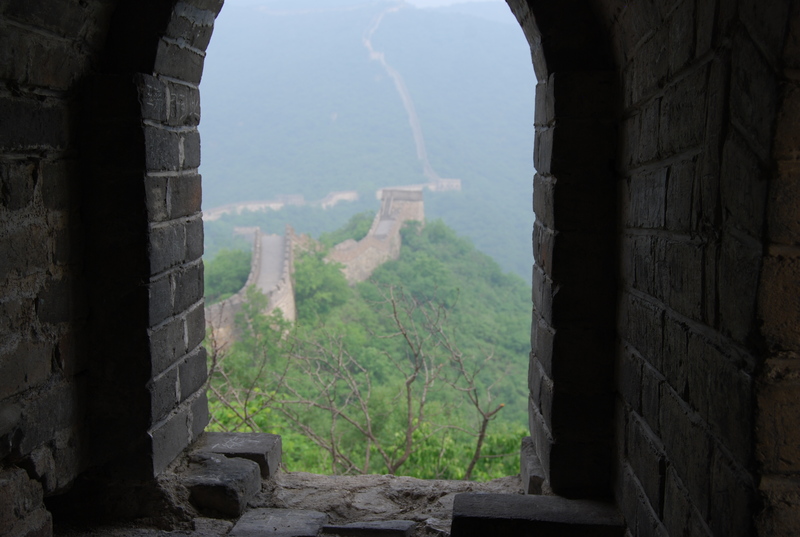 After breakfast at the hotel, Beijing DongJiaoMinXiang (best named accommodation yet) — in a café that continuously plays the harmonious tunes of America’s pop sensation, Backstreet Boys — we loaded into a van to visit the Great Wall of China. On the drive out of Beijing, a hazy sun attempted to break through the cloud of smog that hangs over the city. We passed countless specialized rural factories (for “Tin Printing,” “Flour” and “Beer Bottle Lid”) before arriving at Mutianyu, a restored section of the wall. 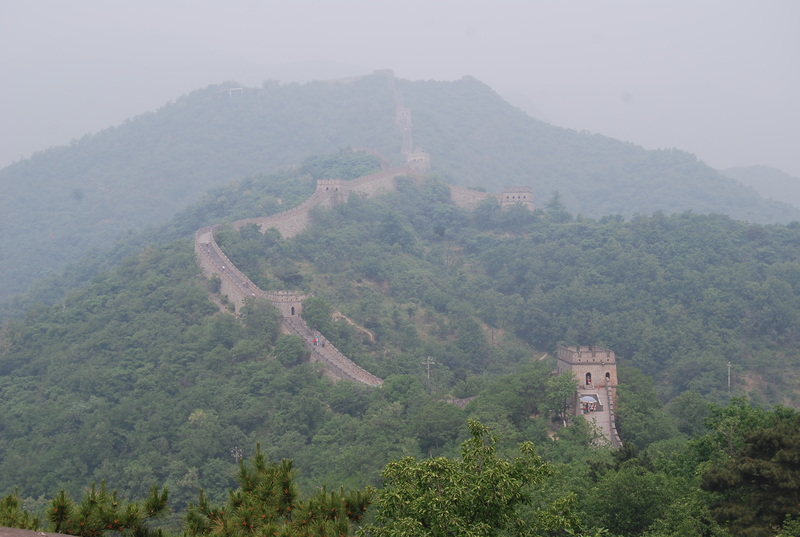 The Great Wall, as most everyone knows, was originally built about 2,200 years ago to protect the Empire from northern invaders. It winds through the mountains and is surrounded by lush vegetation. With uneven steps and a less than flat plane, the Wall makes for an uneven walk. Surveillance towers that dot the wall provide the perfect vantage point. We took the “slide” — a terribly touristy but actually quite fun luge — back to the bottom before heading to the Temple of Heaven. This is China’s answer to Palm Beach, a peaceful spot where old folks play cards, meditate and dance with ribbons in the shadow of some very impressive and colorful ancient temples. Our last stop was an acrobatic show, where the Chinese demonstrated why they consistently take the gold medal in gymnastics. Back at the hotel, with the state-run English news channel blaring in the background, it was time for my daily website update. Unfortunately, as I’d soon learn, all blogs (WordPress, Blogspot, Moveable Type) are off limits in this country, including MarcZawel.com! 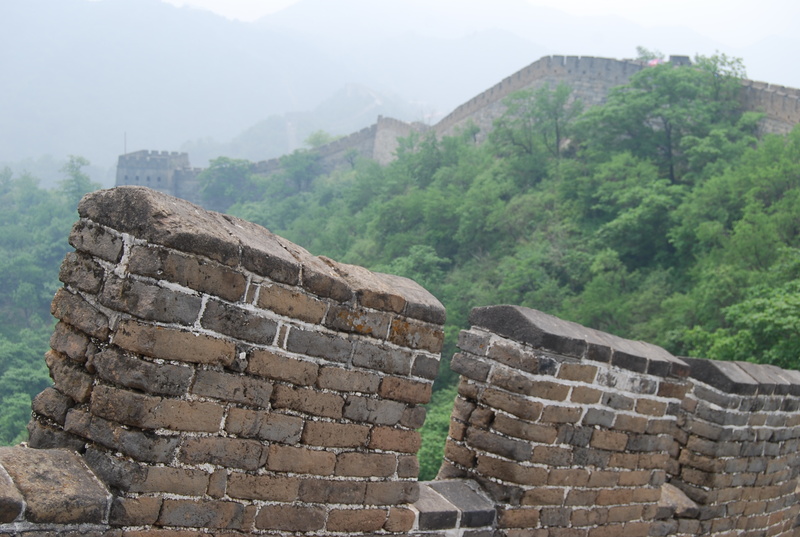 My only option was to climb into a rock hard bed and dream of how to defeat the Great Firewall of China — a digital wall that was preventing me from broadcasting my travelogue to the world.